This 2013 Nissan Rogue features all wheel drive, rear view camera, towing trailer wiring, great gas mileage, clean Carfax and much more. 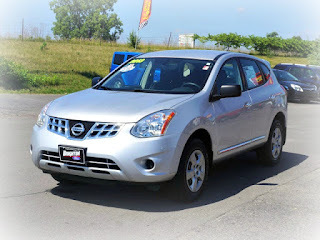 Come take it for a test drive today and see why Cars.com rates this compact sport utility vehicle 4 out of 5 stars! All this for only $12,995 at Brighton Ford, the largest Ford dealership in Livingston County. Call 810-227-1171 to schedule a test drive.